Big Game is this weekend and you’re probably thinking, how will I continue on the path to a healthy life and survive Big Game snack time? You don’t need to sacrifice on the flavor, neither on the fun and even if you are going to a friend’s house, you can still bring some of the great options I am sharing below! You don't need to sacrifice on the flavor, nor the fun! 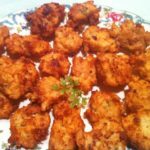 Even if you are going to a friend's house, you can still bring some of these great cod fritters. This is one of my favorite Brazilian appetizer recipes, paleo and whole 30 compliant! Place cod in warm water for 3 hours and change water, to reduce the salt. Boil it for 10 minutes and reserve. Place oil on a skillet and heat to medium temperature. Mix all ingredients but milk, add them slowly, and milk last, to reach a soft consistency to be scooped with a spoon to fry. If you wish to make the balls with your hand, you will need to add gluten free flour and less milk than above. I use a spoon and scoop each time, trying to keep the same size. Place the scooped ball mixture into the oil and fry the cod fish balls to golden brown. Optional: Add some red pepper flakes or chilly powder to the mix to add some kick to it! Delicia! The original recipe calls for Flour and bread crumbs, if you are not on a low calorie regimen, check the original recipe out: Cod Fish Balls. But I can assure you, this version is amazing as well! You’re probably wondering where you will find bacalao/ bacalhau?? You can find it at most grocery isles where they have the fish. I also make sure we have a nuts, olives, fruits and vegetables every time I host a party!!! You can also search for kosher, vegan and healthier brands for sausage and barbecue sauce for your delicious wings!!! 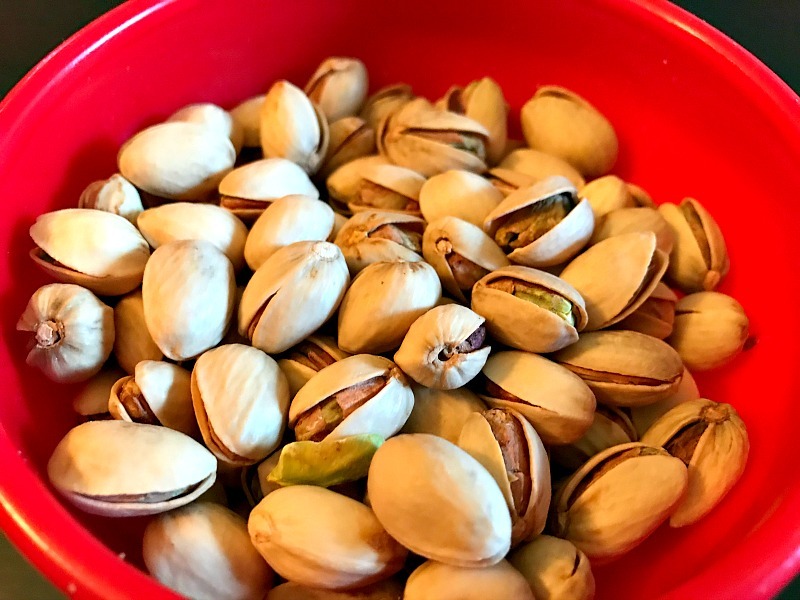 Among my favorites, since my approach doesn’t allow peanuts, I stay with cashews and my all time favorite: the Pistachios! So many options you can just get crackin’ !! What are your all time Big Game Favorite Appetizers? I’m always looking for new healthy options! Can’t wait to hear from you, as usual give us a Trendy Shout! I have received some of the products listed for review purposes but this is not a sponsored post and as usual, all opinions are my own. So many great recipes! Those cod fritters look amazing! Cowboy cavier (despite never hearing it called that) is one of our go to entertaining dishes. These are such great ideas!! It’s so hard to keep to your diet on a day like today LOL! I ate super healthy yesterday, so I’m sort of using today as a cheat day… 😉 Even though I know I shouldn’t! Love your ideas! Great choice as we need something healthy after all the wings we’ll eat during game time!! I don’t eat seafood, but those cod fish balls do look really good. They are just the right snack size for anyone to eat while watching the big game. We try to eat healthy as much as possible, but sometimes you just have to splurge…like when it’s the Super Bowl! We will be having a veggie tray and some fruit…in addition to pizza and cookies. YUM! OMG I love cod fritters and hubby? MORE! This would be a recipe I will definitely make for our game day party. We expect about 4 families! This dish will be a success. Thank you so much for sharing it. Yes to healthy and totally delish game day appetizers! We are shopping today and I can’t wait to get all the ingredients to make your recipe for our party tomorrow! Your cod fritters look delicious. I’m hosting a party on Sunday and these would be a great addition. My football loving friends and family would be all over this appetizer. Yum! This cod fish balls recipe is something I would love to try soon. It looks so yummy. Healthier too! This would make for a great appetizer or side. I’d make ours with chili powder or maybe just make a soy-sauce and wasabi dip. We are so excited for the big game! And these snacks are perfect for that day! Thanks! Thanks for these ideas. It is so hard to find healthy game time food! I love fish but would have never thought of having fish at a game party, but I think it looks delicious! Can’t wait to give it a try. I like to serve a lot of fresh vegetables and fruit when we watch a game. Nachos are always a big hit but I keep them as healthy as I can. Those cod fritters look so good! I’m not very good about eating healthy on the big game day! We usually order pizza and eat junk lol. I’ll try to add some veggies to my menu! These sound really good. I would love to make them for the Superbowl too. Such a great appetizer they would be. Pistachios are my favorite too! They’re the perfect pre-game snack. They’re also super healthy, so you don’t have to feel bad about eating them. The cod fritters look absolutely delicious! What a great game day recipe! These look so delicious! I am a huge fish fan and would never think to use something like this for game day. Perfect! I’ve been trying to eat better and was just thinking about what to do about Super Bowl! These look amazing. Great suggestions! I would love to try all these! They all look fantastic! Ooh these would be perfect for my guys! I think I’ll have to consider this for the weekend! I am a hummus and cracker girl during the game. I love my hummus and put it on just about everything. Those look amazing! I am Keto and very rarely find anything that will work for that, but I will have to try these! I know my entire family would love those Cod Fritters! Totally have to try them now! Yummy! My husband is not a fan of seafood, but I am! I think those cod fritters look delicious! Pistachios are definitely a favorite snack of mine. I can eat way too many, so it is a good thing when I have to work hard to shell them. Keeps me from eating too many. Great idea to swap out meat with fish. Makes for a lighter meal and is a nice break from the heavier foods. I love these healthy appetizers for game day. The cod fritters sound and look so delicious. I can’t wait to try this recipe. Well now this is a must have for us on this list. So delicious sounding. My husband would probably love this and the kids too. Time to give it a shot. I love pistachios. They would make a great snack to eat during the game. Those cod balls look delicious though. 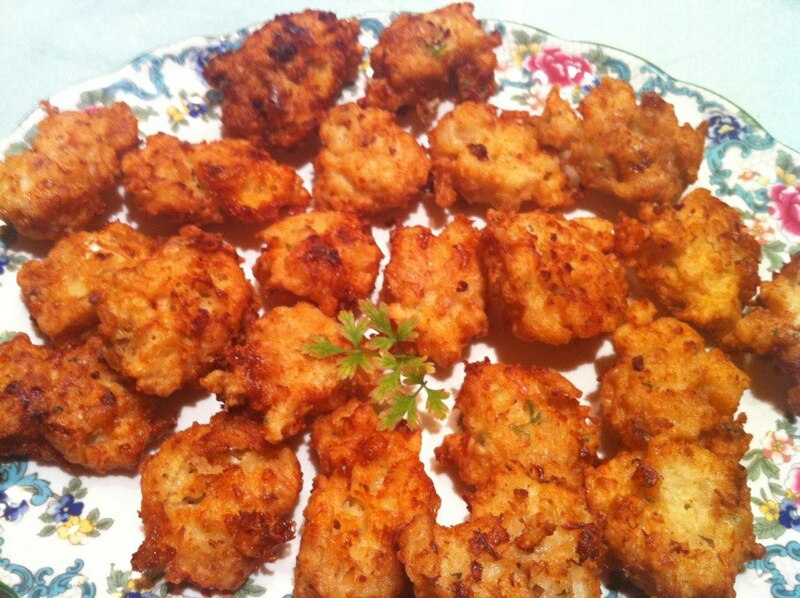 I will have to make some cod fritters, they look really good. We usually order some chicken wings and cuban sandwiches from our local sports bar. I wish I knew of a couple healthy appetizers for the Super Bowl. All of my stuff is definitely not healthy. I may have to check in a couple of these and make them instead! Those look so good! Now that I’ve started living a healthier lifestyle, finding these types of recipes are so key to me. Thanks! I have been hearing a lot about avocado oil, so I am interested in trying that out like you did here! Delicious recipes for a great game day spread! Those look so good! Who says game day food has to be bad for you? I love these! Will have to try out your Cowboy Cavier, I have everything on hand and it looks really delicious. Those Spanakopita Tarts and Cowboy Caviar are for me. PLUS I am also excited to try your Cod Fritters. Appetizers usually appear light, but for me, they could also be filling. Those Cod Fritters look amazing! I’ve got my menu planned out for my Super Bowl Party. I think I need to add a few of these healthy options. I could eat caprese skewers all day! Yummy! Great list for the big game! I love all having healthy options for game day appetizers! Thank you for these suggestions! I would love to try some of these and add to our menu. Cowboy Caviar is one of my favorite foods in the world. So yummy! I love that I will be getting to munch on some yummy apps for the Big Game. I really should be trying apps like these though. I will have to make some Cod Fish Balls to try. We love fish and it is a healthy snack. These are great appetizers to serve at a party. That cowboy cavier looks SO GOOD! I might try the Fritters and Spanakopita, too! Maybe not this weekend, but definitely soon! Thanks! My husband is a huge fish fan, so he’s love the Cod Fritters. I myself am partial to Cowboy Caviar. I cannot stop eating it at parties.